Carol has been married for 36 years this coming May. She has been working for the last 23 years as a dental assistant to Dr. Tom Thuma, D.D.S. in Georgetown. Her husband, Gary, is the lab manager and compliance officer for the Brown County General Hospital. They have 2 children. 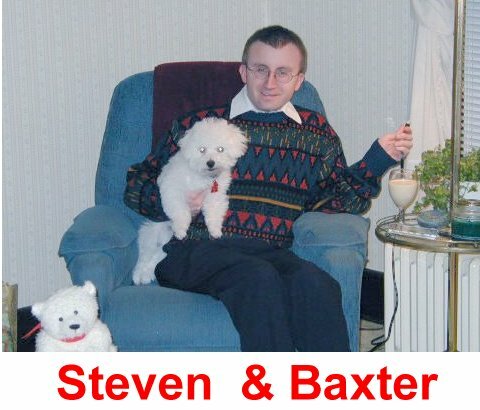 Stephen is 29 and works in Meijer's at Eastgate. He's an avid bowler, bowling 3 nights a week on leagues. He loves to travel all over the U.S. to national bowling competitions with several of his friends. He recently bowled his 1st perfect game of 300. Kathy is 25 and teaches 7th grade math in the Campbell County School district in northern Kentucky. She is also coaching the 7th grade girls' basketball team. 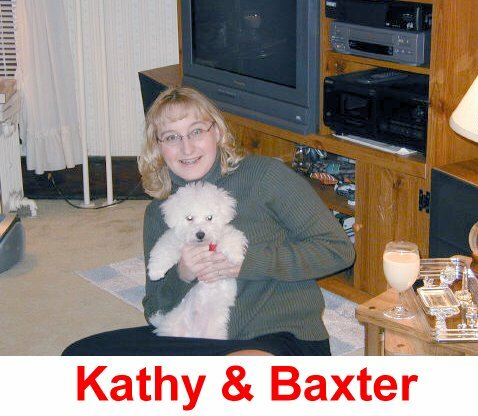 They also have a 5-month-old Bichon Frise puppy named Baxter. Grandchildren don't seem to be in the picture yet so they are lavishing all their love and attention of this little white bundle of fluff. 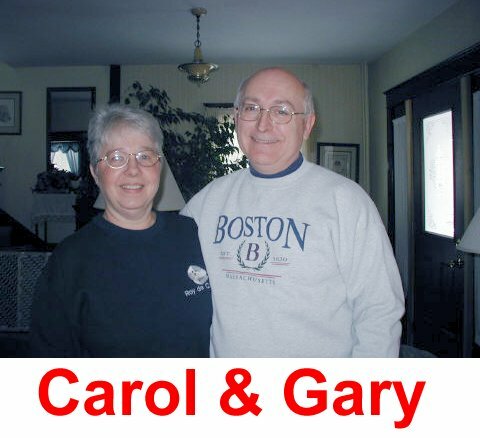 In September of 2000 Gary and Carol were able to take a 4-week trip to Europe - a dream of a lifetime. They were in England, Holland, Germany, Italy, and France. In 2002 they returned to England for a 3-week driving trip of England, Scotland, and Wales. They both agree that traveling as much as possible for as long as possible is what they want to accomplish from now until....? It is fascinating to get acquainted with people in other cultures and especially with other languages.